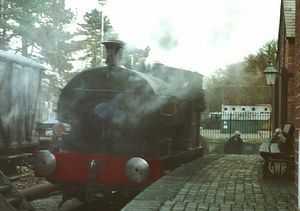 The Great Western Railway Museum is housed in one of the last remaining permanent railway buildings in the Forest of Dean, on the original site of Coleford Railway Yard. It is the original GWR Goods Station of 1883. 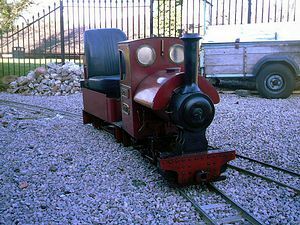 The Museum features a 7 1/4" gauge Miniature Passenger Electric Loco. 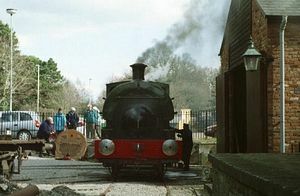 Miniature Steam Loco rides some Bank Holidays. Hornby 00 gauge Stock +0 gauge modelsLarge display of photographs of Railways in Coleford and the Forest of Dean, Victorian Ticket Office and Goods and Station Masters' Office, Replica Victorian Railway Carriage. The Museum is situated in the Coleford Main Free Car Park(near Supermarkets).